World number one, Rory McIlroy, has captured a second Race to Dubai title in three years before teeing up in this week’s DP World Tour Championship final event in the UAE. McIlroy has an unassailable €2,726,614 lead ahead of nearest rival Henrik Stenson who moved into second place on the money list with his third place finish in the Turkish Airlines Open. And with the first prize on offer this week less than half the difference between McIlroy and Stenson, who was European No. 1 a year ago, the 24-year old four-time Major winning McIlroy can’t be denied. It is the first time since 2004 a player has won the European No. 1 crown with an event still to be staged. Ernie Els achieved the goal 10 years ago but elected not to contest the then season-ending Volvo Masters. 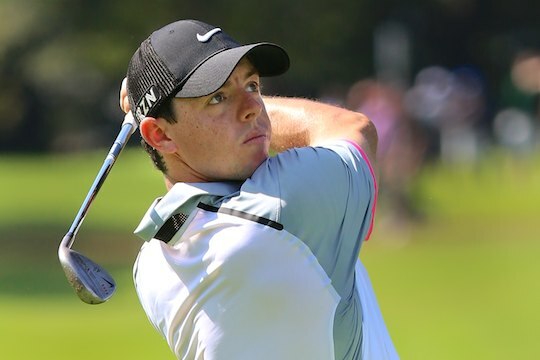 McIlroy’s achievement also makes amends in being denied the PGA Tour No. 1 title given the make-up of the FedEx Cup Play Off Series that saw American Billy Horchel win the last two events. McIlroy, who had won two Majors and a WGC title in season 2014, eventually ended the year as No. 3 on the US money list. “This has obviously been the best season of my career by a long way, and to win The Race to Dubai for the second time really is something truly special,” said McIlroy in a statement released by the Tour. “I’ve put in a lot of hard work this season, with my game and my fitness, so it’s nice to get the rewards at the end of it.